When the seasons start to change from summer to fall….I find myself instinctively drawn to reading a good murder mystery. For me, fall means curling up by the fire with a pumpkin spice latte and reading a good who-dunnit! I was recently approached by Penguin to review M.L. 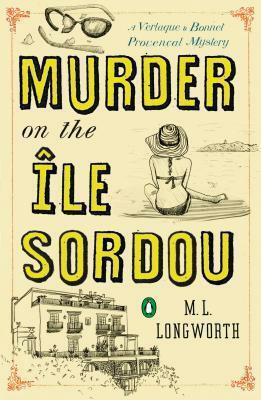 Longworth’s latest novel Murder on the Île Sordou (Verlaque and Bonnet #4) and let me just say that this book is satisfying my urge to read a good mystery! I should finish it up tonight, I started reading it this weekend and haven’t put it down since! My review will be up later this month but in the mean time…..M.L. Longworth was recently featured on NPR’s Crime in the City series (“Mystery Writer Weaves Intricate Puzzles in Sleepy French Town”), in a wonderful introduction to the author, the Verlaque & Bonnet series, and Aix-en-Provence. This is a wonderful article that I highly encourage you to read! I can’t wait to read the other books in the series as I am starting in the middle, however you don’t need to read the other books to appreciate this wonderful mystery series set throughout French countryside! M. L . Longworth has written for The Washington Post, The Times (London), The Independent, and Bon Appétit magazine. She divides her time between Aix-en-Provence, where she writes, and Paris, where she teaches writing at New York University’s Paris campus. For more information on M.L. Longworth, please visit her blog and web page!